The overall bike build is shown here, which necessitated him designing a variety of jigs, including a CNC wrapping machine. 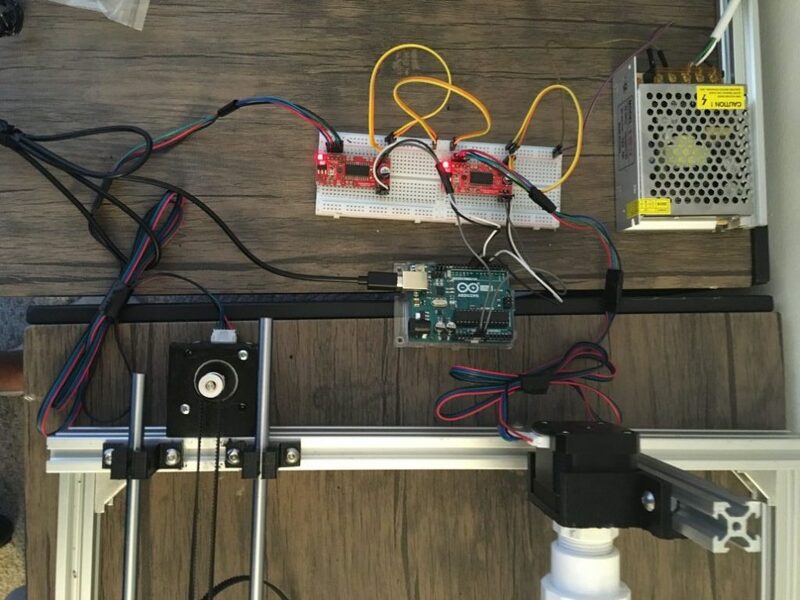 His device uses an Arduino Uno, along with a pair of driver boards, to carefully roll strands of carbon fiber on a PVC mandrel in an overlapping pattern. Epoxy was dripped on the assembly during the process, resulting in CF rods that were lighter and much cheaper than purchased rods. After quite a bit more work assembling everything together, Kevan now has a bike frame that is truly made to his specs!